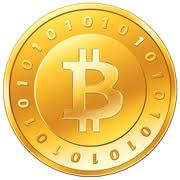 Investment used towards launching a new Bitcoin mining company (mining BTC & NMC). The mining will be done on two Radeon HD 7970's GPU's clocked at 1000MHz. The combined MegaHash rate should be 1250 Mh/s minimum generating 27.70BTC a month at todays difficulty rate. My electricity rates are £0.1185/$0.18KW/h so I'm estimating electricity will cost me £53/$84 a month to run the rig 24/7. The cost of running the rig will be deducted from the Bitcoins mined before a dividend is paid. The NMC generated will be saved up to pay for the company. I will be keeping 5% of the shares my self due to buying a new 850W PSU and Hard-Drive.